In the early 1900's Carl John Kingston, packed up his belongings and made the months-long journey from Central Mine, Michigan to Chile in search of copper and gold. In 1906 he joined the Cerro de Pasco Mining Company as an engineer, and traveled throughout South America. Although he never struck gold, C.J. unearthed a large dairy and cattle ranch 12 miles from the Pacific Ocean in the western hills of Chile's Casablanca Valley. With his new wife Caroline Los Kamp, C.J. settled in the casa patronal on "The Farm." 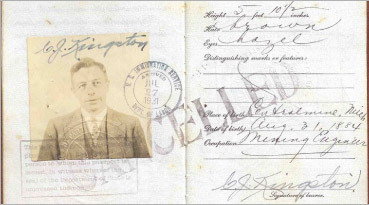 After attending college in the United States, C.J. and Caroline's oldest son, John, returned to Chile to manage The Farm. As family lore goes, John graduated from Harvard on a Wednesday, married Janet Wilson on a Thursday, and set sail for Chile on Friday. They settled in Casablanca next to the old corral, and raised five children on The Farm in the 40s and 50s. With the 1990s came another generation of Kingstons and new possibilities for The Farm. While in graduate school at Stanford University, Courtney Kingston wrote a business plan that had little to do with cattle and traditional farming: She wanted to plant a vineyard in the far western hills of Casablanca. Planting their first grapevines in 1998, the Kingstons bet on pinot noir and syrah in a valley known exclusively for white wines. Inspired by California vineyard leaders like David Hirsch and Gary Pisoni, they planted a vineyard up in the hills and gambled on the future of cool climate reds. In 2003, they made 400 cases of pinot noir and syrah under their own Kingston Family label to showcase the potential of coastal Chile for world-class wines. 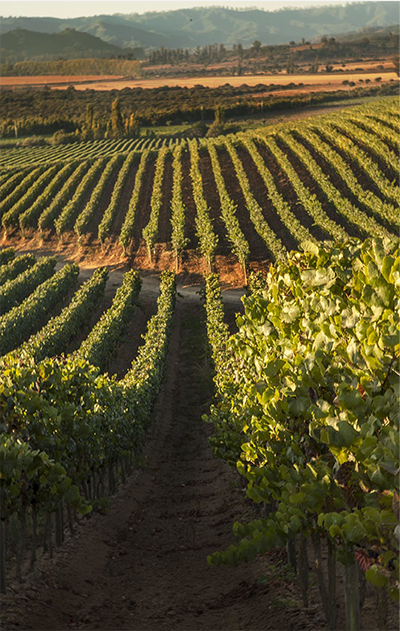 The Kingston vineyards, first planted in 1998 and gradually expanded over the past dozen years, now consists of ~350 acres located within the century-old Kingston family farm in Chile's Casablanca Valley. In many ways, the Casablanca Valley is analogous to California's Central Coast, but somewhat colder.The vineyard lies about 12 miles from the Pacific Ocean and is surrounded by rolling forested hills. The vineyard has a cooler location than most of Casablanca, with temperatures often measuring 10°F cooler than at Veramonte (the neighbours on the opposite/eastern end of our valley). Due to cooling effects from the Pacific's icy Humboldt Current, the climate is mild and the growing season is long. Today, Kingston Family Vineyards is still going strong and producing some excellent coastal style wines. The Pinot Noir and Syrah are planted in the hills, where the sun exposure and drainage is more favorable to red grapes, while the Sauvignon Blanc grows in the lower, cooler sections of the vineyard. The soil in the hills contains a lot of decomposed granite; lower down it is sandy clay. Yields are very low: typically 2 to 3 tons per acre—a necessity just to ripen the crop. The last of the syrah is harvested in late May, the equivalent of November in Europe. 90% of Kingston grapes are sold to some of Chile's best winemakers, including Ignacio Recabarren (Concha y Toro), Aurelio Montes (Montes), and Rafael Urrejola (Undurraga). This was a lovely spicy syrah exhibiting balanced cool climate charaterisitics with no hint of green or high acidity caused by under ripening. The wine had a great nose of berries, earth and spices, the palate was strong blackberry & raspberry with bags of fine tannin as well as vanilla notes with a certain elegance you might find in a Burgundy. Highly recommended!